The shelter accepts various types of donations. Monetary donations are always needed. Perishable food items, paper products, cleaning supplies, office supplies, stamps, as well as non-perishable items are needed on a regular basis. Furniture is not accepted due to limited space; however Destiny’s Attic Ministry (419-334-4673) collects furniture and stores it for our residents until they move out. 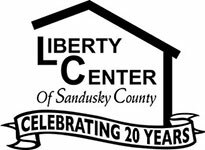 The Liberty Center of Sandusky County is a 501 (c) (3) allowing all donations to be tax deductible under IRS guidelines. You may also donate online using the Donate button on the home page. You may use Pay Pal or a Credit Card.